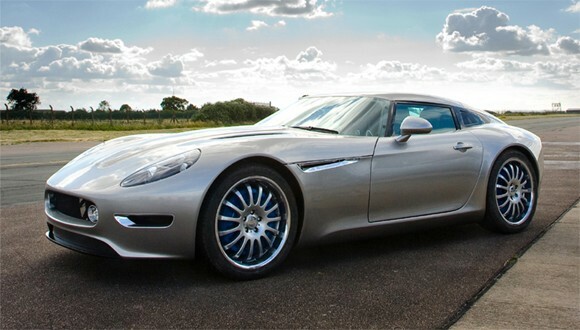 Lightning, Britain’s DB9-sized, all-electric GT, is about to enter a “late prototype” phase and should be ready for 250-units-a-year production by spring 2012, according to its backer, Iain Sanderson. The GT is intended to offer Aston and Bentley levels of pace and sophistication. It is expected to sell for £180,000. Sanderson, a London-based marketing entrepreneur who has financed the project since its inception more than three years ago, says the project has been “de-risked” and is in ideal shape to attract the £15.5 million needed for the next two development stages. Last week finance specialist London Bridge Capital began approaching potential backers with formal proposals. Sanderson hatched the idea for an electric GT nearly a decade ago after meeting the project’s technical director, Arthur Woolstenholme, at a motor show. Together, the pair have already revived the famous Vanwall racing marque. Under the Lightning prototype plan, there will be a £3.5m preliminary phase, during which two running examples will be built to meet the dictates of the Technology Strategy Board (already a Lightning backer). During the £12m phase that follows this, a series of road-ready prototypes will be built to probe and refine the car for its early customers, 15 of whom have already ordered cars. Since unveiling the GT in 2007, Lightning has appointed a new CEO, Tim Martin. Under his guidance, the car has been comprehensively re-engineered. The proposed in-wheel motors have been ditched for a twin-motor, rear-drive powertrain sourced from a big-name German manufacturer, soon to be revealed. Power is about 400bhp. The car is tipped for 0-60mph in well under 5.0sec, and it is said to have a range of more than 100 miles. Technology partners for the chassis manufacture, for supply of latest-spec lithium titanate batteries (faster charging and more stable than lithium ion ones) and for data engineering and homologation have now been appointed.